Diddy’s recent viewpoints on the number of rappers prevalent in today’s Hip Hop space raised some interesting points, but also highlighted where differentiation can occur. Every artist seems to have a mixtape, a SoundCloud or Audiomack, and a manager these days. But what about stage presence? What separates an audio recording of their songs from an actual, factual musical act whose talent can be felt in real life? 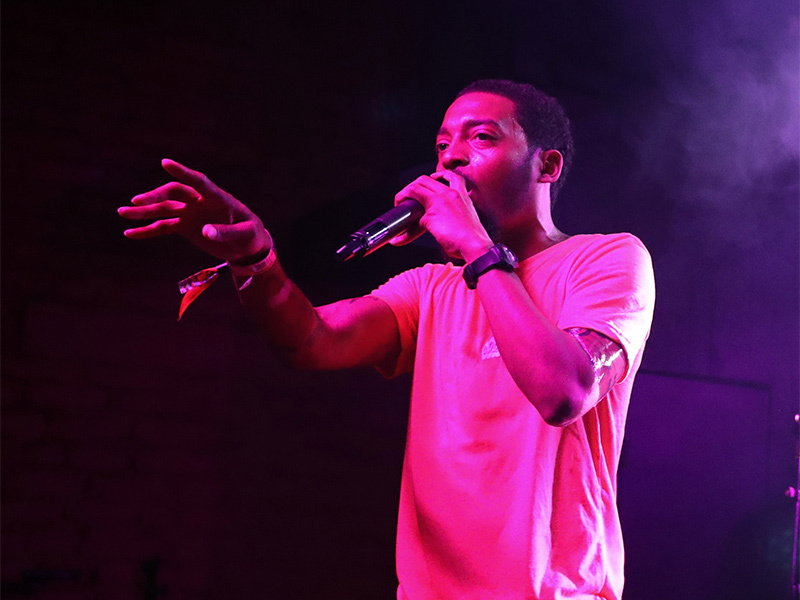 We over here at HipHopDX made the effort to answer that question through our inaugural Rap Rising Official SXSW Showcase. 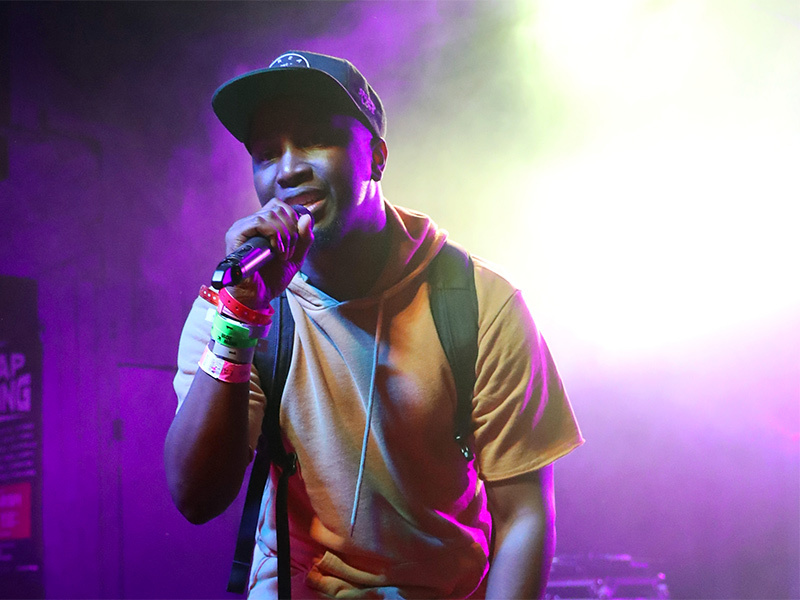 When it comes to the ubiquity of rappers, a similar sound across the board is also easy to pinpoint. But that doesn’t mean diversity isn’t prevalent among all new artists. 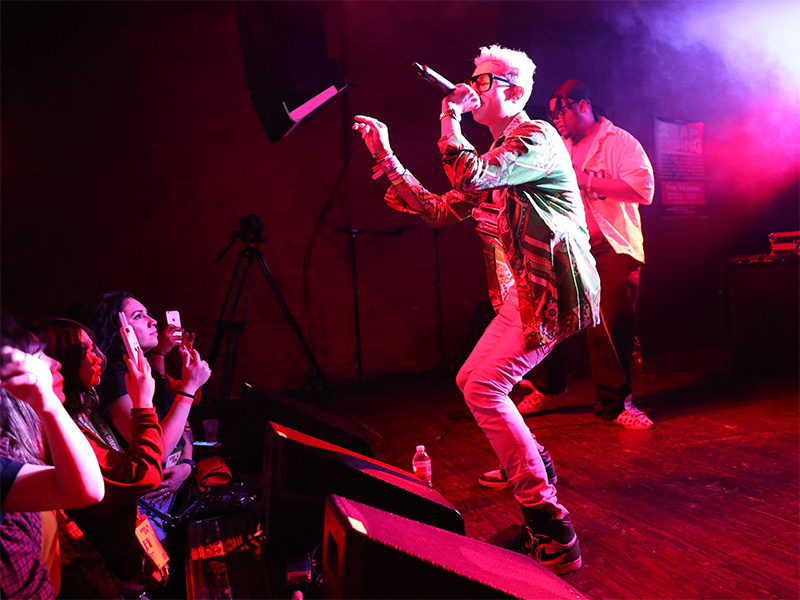 And we pinpointed such a bill that allowed for a fluid Hip Hop experience for a motley audience propelled by the great city of Austin, Texas. 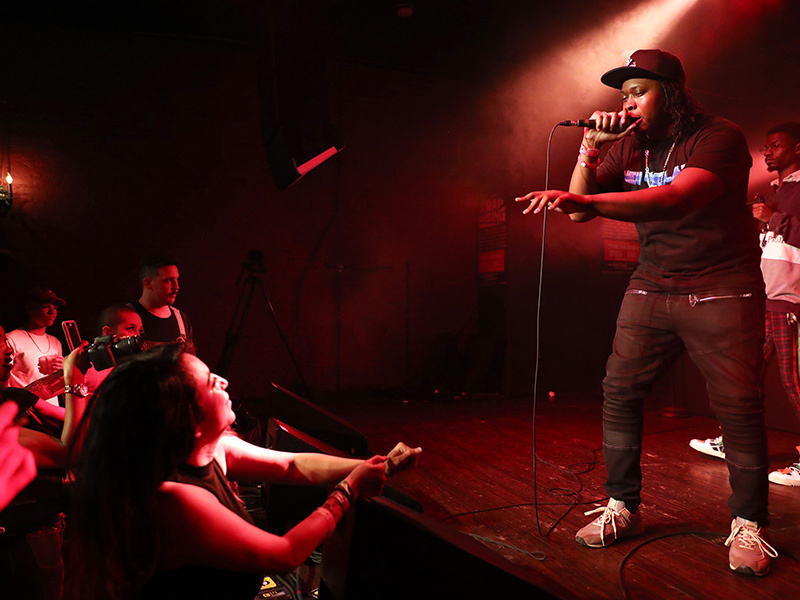 Rap Rising kicked off promptly at The Parish on 6th at 8 p.m., on Friday (March 16), with an energetic bolt of classicness brought forth by an exclusive set from the immortal Just Blaze. 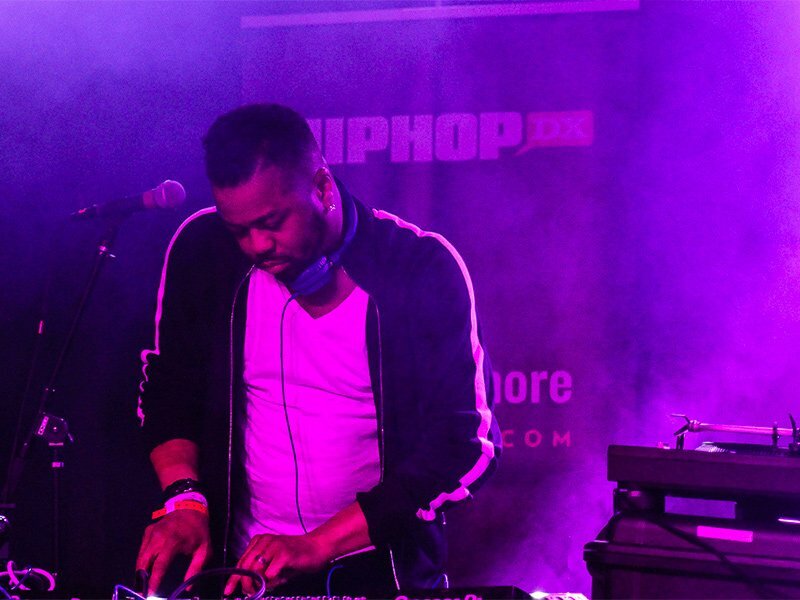 Just Blaze opening the night up. Image by @kenin3d. I say exclusive but there aren’t too many producers who can ignite a crowd’s fever with their own collection of hits (not to mention the DJ skills to pull it off). The humble legend refused to let me introduce him, saying he wanted to let the music speak for itself. 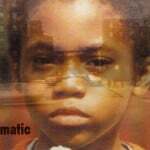 And speak it did, whether it was dropping the digital needle on the goosebump-inducing JAY-Z “Public Service Announcement (Interlude)” or taking it back to the street-root rap with Freeway’s “Flipside.” Just’s opener was the first impression that would go on to be the lasting one. 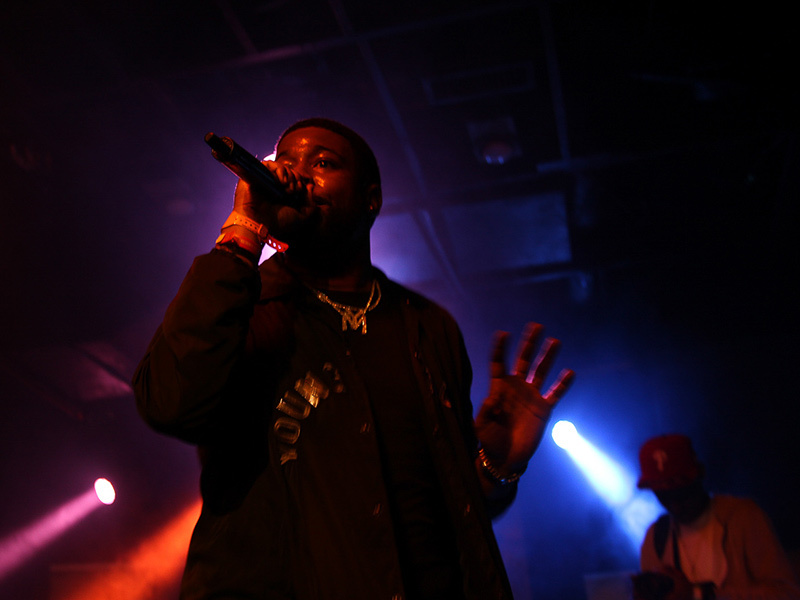 Something can be said for an artist who possesses the fearlessness to command a crowd, despite the likelihood unfamiliarity with their music won’t allow for much engagement. I guess fearlessness is what can be said about that. And there was plenty to go around the showcase. 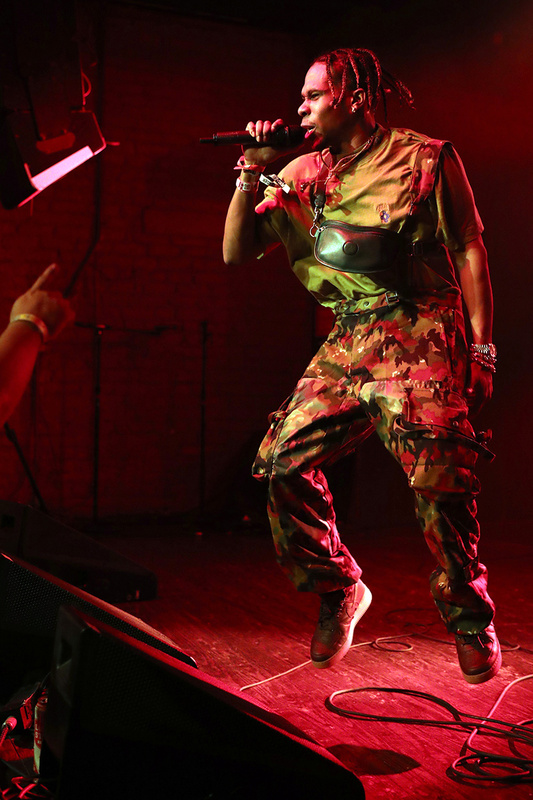 Lyric Michelle putting on at SXSW. Budding Houston native Lyric Michelle a.k.a. 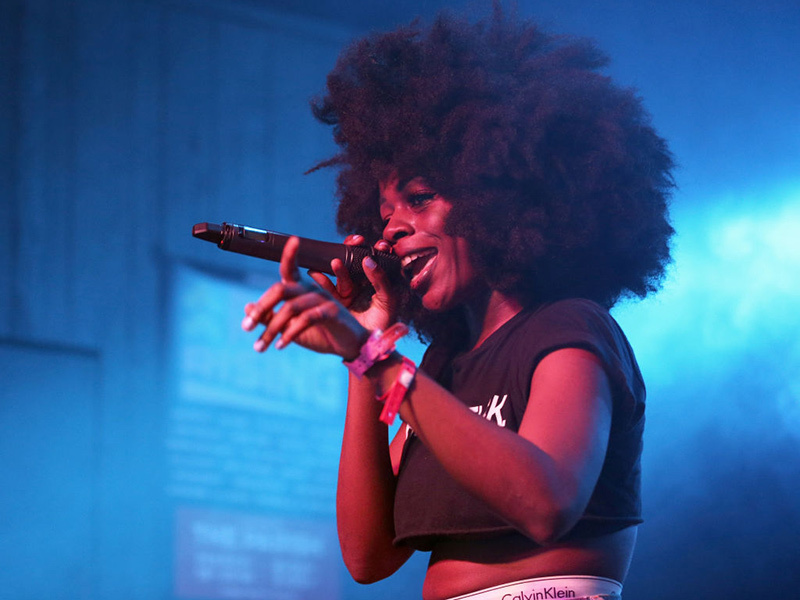 IAmLyric told her onlookers they’ll “know her name” as she spit poetics with a live funky drummer in tow. 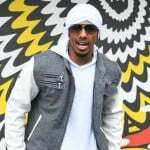 The same can be said for Promise and Chill Moody, whose respective a cappella exhibitions demanded attention from brains and ears alike. 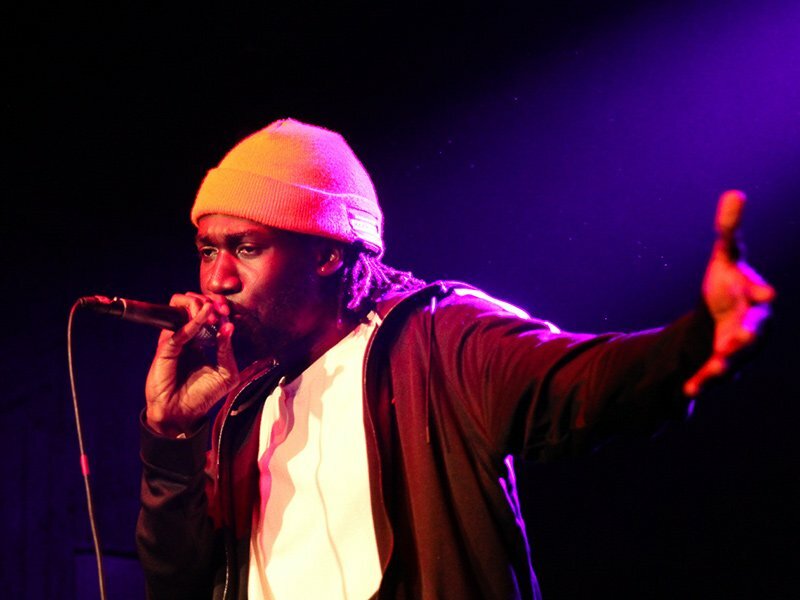 East Londoner Jay Prince had a plethora of good vibes in his well-received showcase, as did relative local Doughbeezy and 300’s very own Sherwood Marty. Sherwood Marty hops into the crowd. 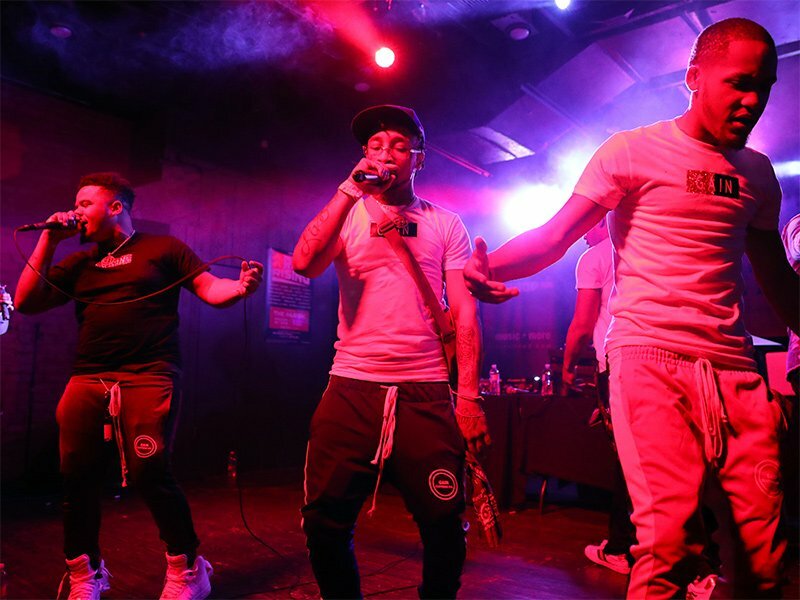 Peso Da Mafia, the Baltimore trio who specialize in reality raps, instantly made the crowd believers with the money dance brought forth by their “Money Man” single. 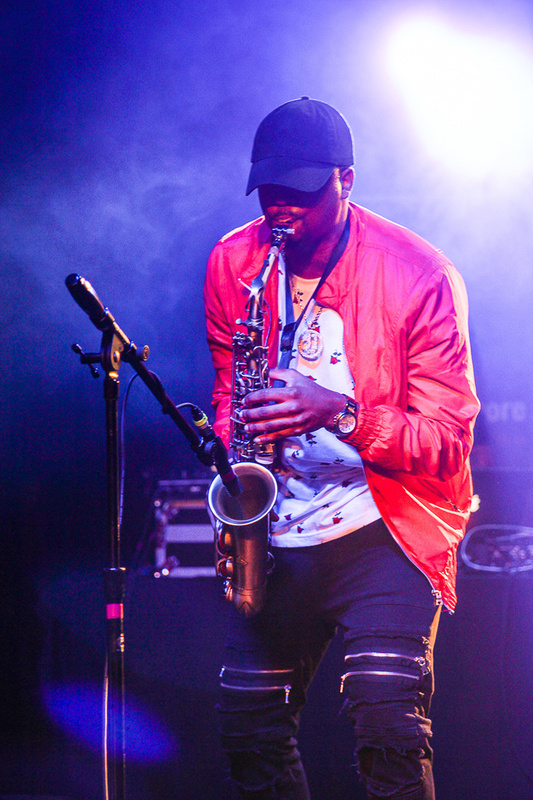 Fellow B-More native WishGranted displayed a parallel version of the city’s musicianship, as he rapped with flawless vocal clarity through original records and iconic instrumentals, and even gave the audience a saxophone solo for good measure. 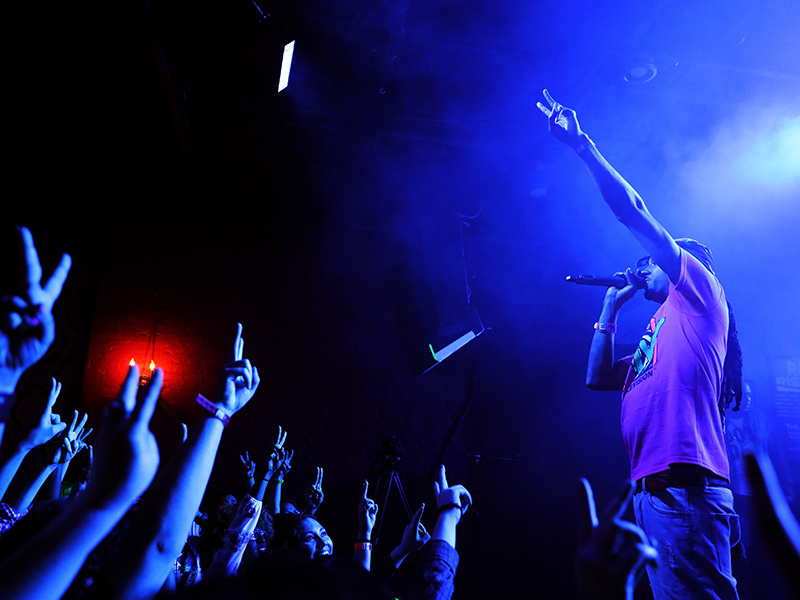 Noochie entertained the crowd with his unique D.C. blend of skill and lyricism. Noochie lights the stage up. 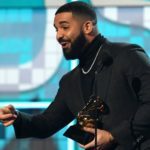 And it wouldn’t be a “reach” to say that Georgia rappers WHATUPRG and 1KPhew have the potential to achieve the same success as their mentor Lecrae, who inked them to his Grammy Award-winning imprint. 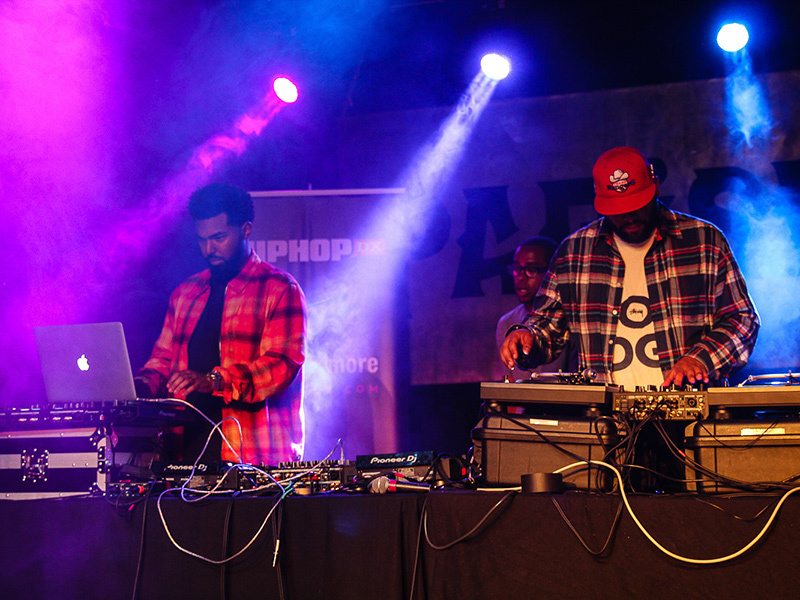 Their energy combined with relevant beat selections and pristine lyricism proved once again that great Christian Hip Hop exists without any preconceived stigmas. 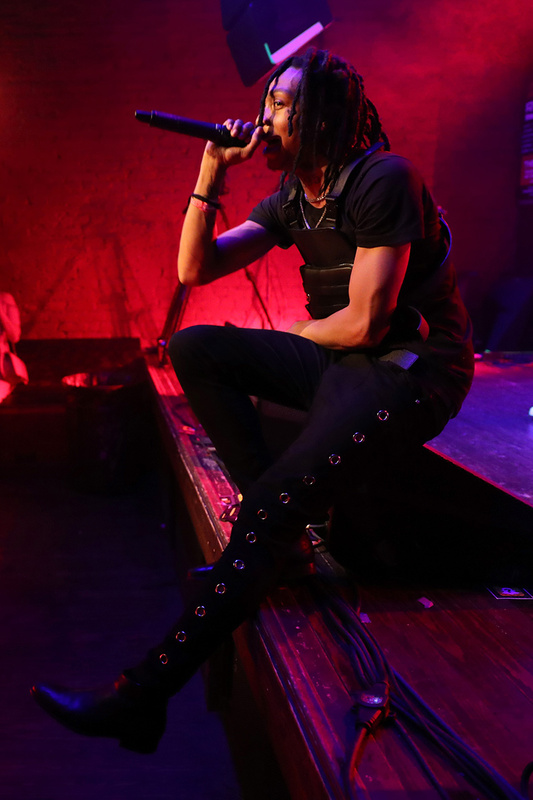 1KPhew turning up on stage. JAY-Z’s Roc Nation block for Rap Rising also showed how the label is keeping its ear to the street with the best talent on the cusp. 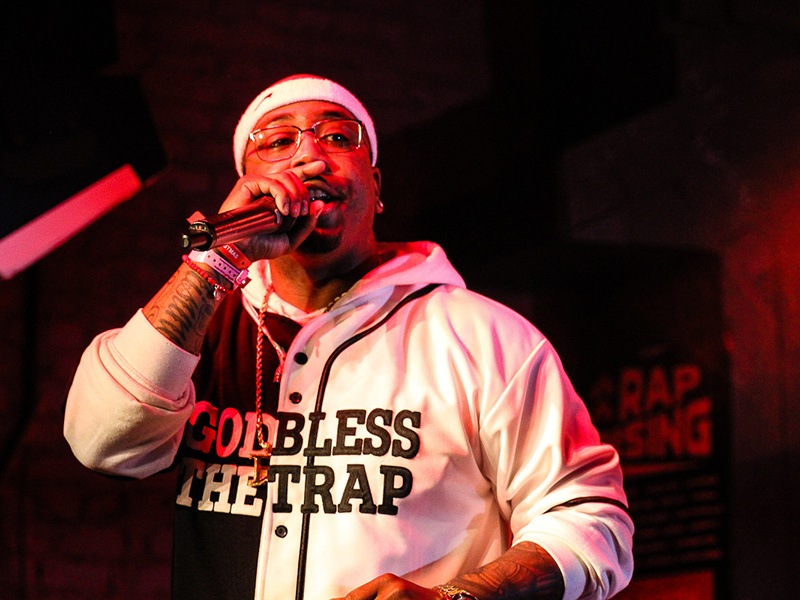 Louisiana rap vet Don Flamingo recently told HipHopDX that he’s more rejuvenated than ever and he had no issues putting his metaphorical music out in the air. The crowd puts two in the air for Don Flamingo. 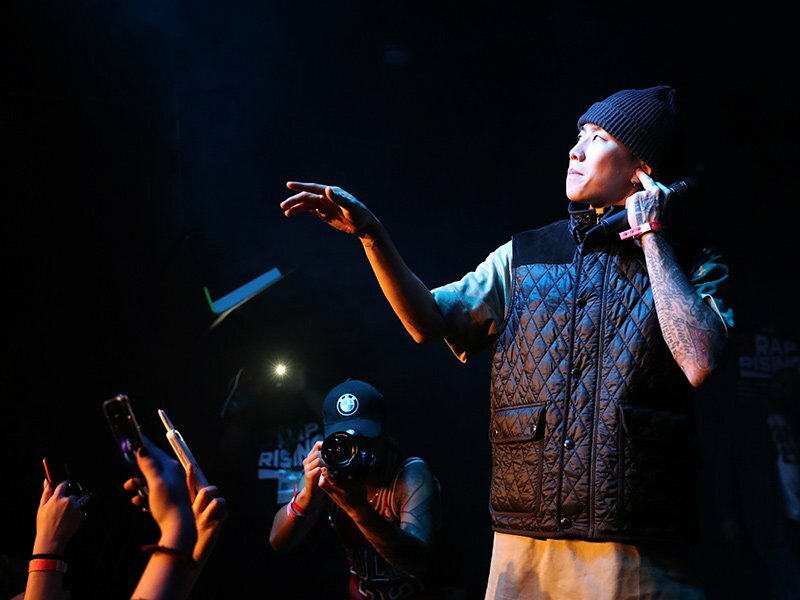 But the spotlight-snatcher of the night undoubtedly went to Jay Park, the Korean-American multi-talent who has already eclipsed his Hip Hop-rare background thanks to his skills as an MC and versatility as a singer. I had the pleasure of soaking up his upcoming EP during a TIDAL-sponsored listening session the night before and was amazed how well the new records translated into the pulsating audience (who had packed The Parish at the time of his performance). 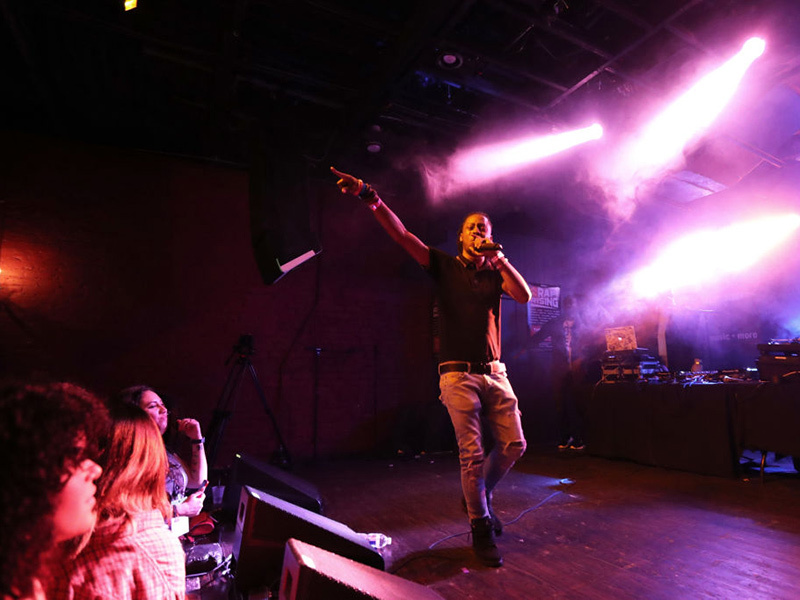 His lyrics were raw and witty; his R&B sensibilities were crystal and the crowd couldn’t have been any more enamored. 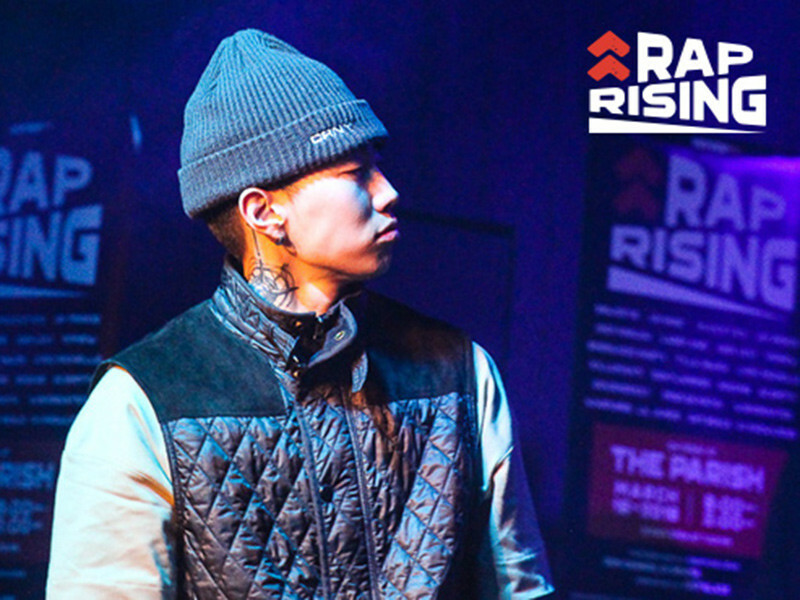 Jay Park drew a major crowd for his set. Any fan who stayed for the entire show can attest that not one puff of steam ran out from the stage. M A E S T R O (of The Wire fame) had no problem screaming on the alcohol seekers at the bar to pay attention to his show and their obedience was rewarded with an electrifying performance all across the venue. M A E S T R O put on a high-energy performance. 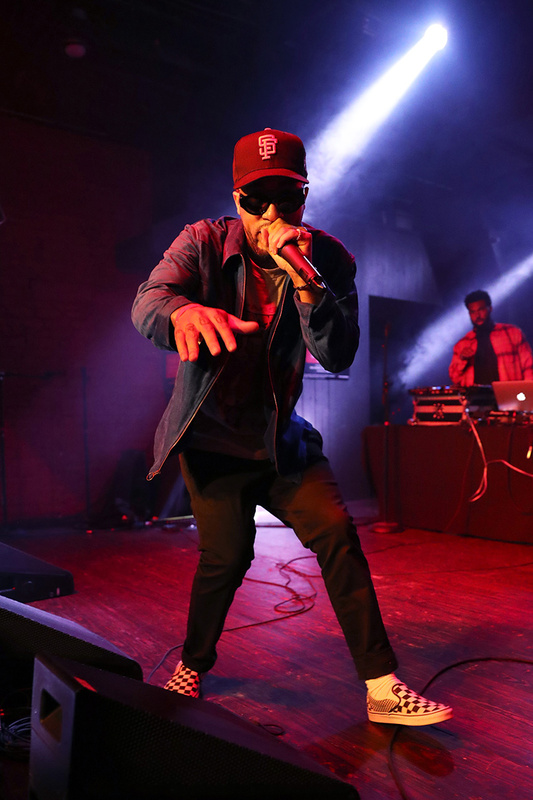 Fresh off his recent release, You’re Doing Good, Larry June awakened his loyal do-gooders with an animated grandstand of new records and fan favorites (inducing hilarity on “F’d My Leg Up”). Larry June doing a good job. 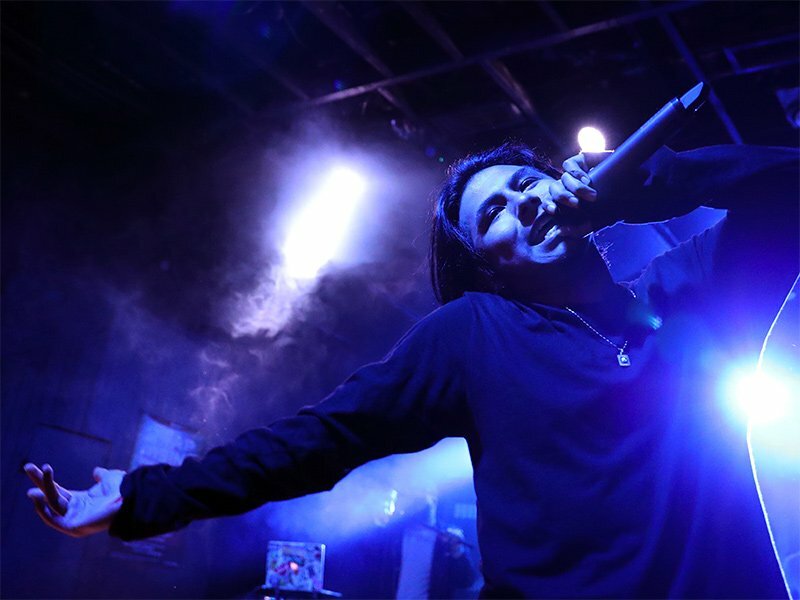 Closing out things with a bang of star power, Tyla Yaweh revealed why blowing up on his end is inevitable with his hazy hit, “Drugs and Pain” and even pulled off a moonwalk in his rockstar jeans. Tyla Yaweh getting down to business. 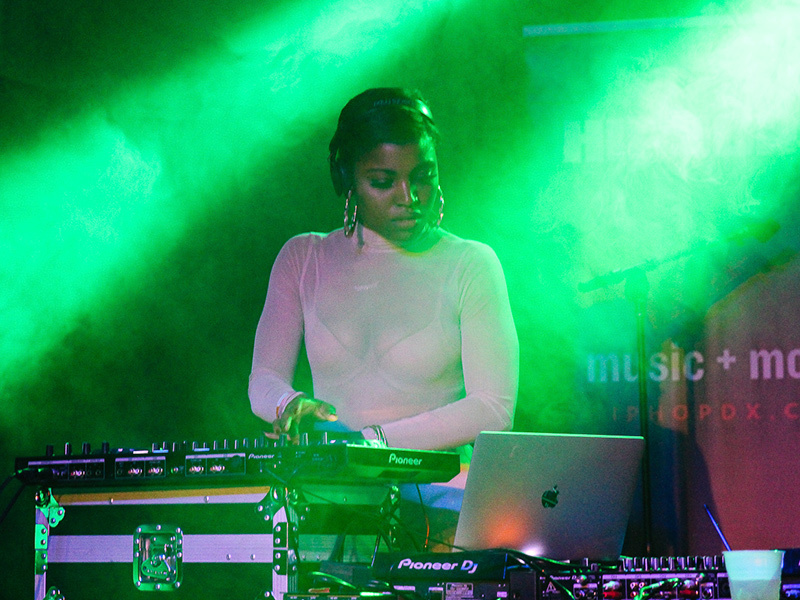 DJ Olivia Dope hyped the crowd with Bay Area bounce, perfect for Saweetie to close things out in high-end fashion with performances of “ICY GRL” and “High Maintenance” from her debut EP. 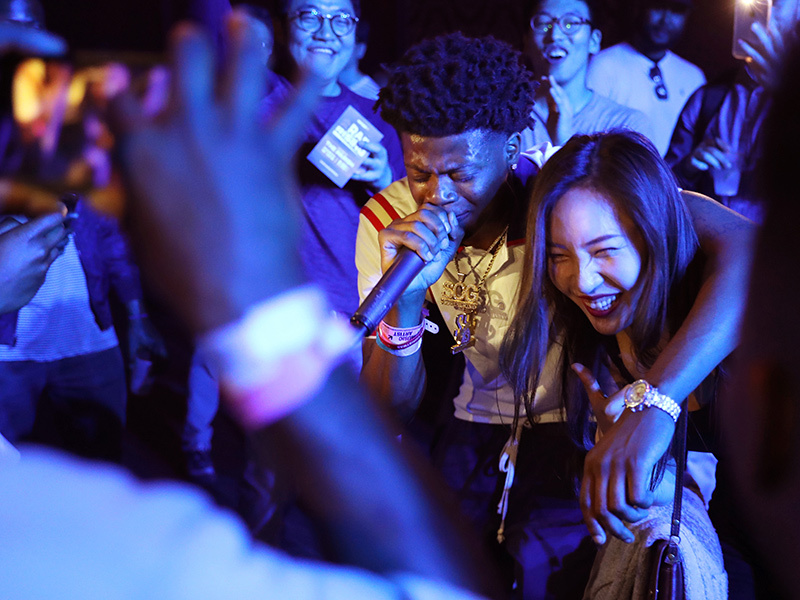 HipHopDX sends out massive gratitude to SXSW, all the performers, managers, crews, Parish staff and most important: the fans that made Rap Rising: SXSW 2018 an incredible experience. Check out some more pictures from the event courtesy of Kenneth Eke, aka @kenin3d on Instagram.